[closed] Hello! 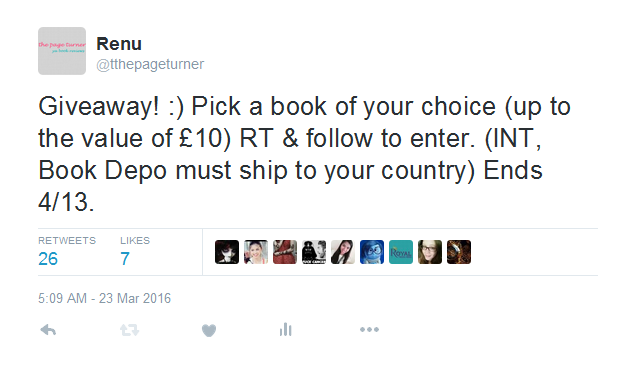 I just wanted to let you all know that I'm currently running an international Twitter giveaway. 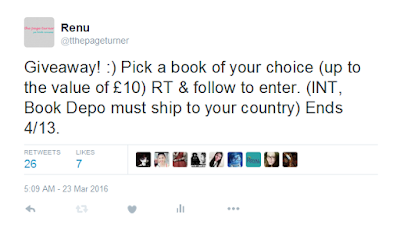 You can win a book of your choice (up to the value of £10) from Book Depo. If you're interested you can find my tweet about it here. You are awesome sweetie. 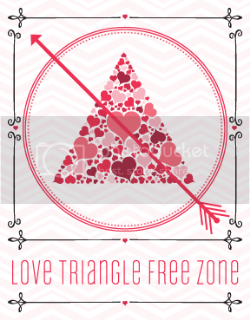 <3 Just wanted to thank you again for doing this awesome giveaway :) YAY!